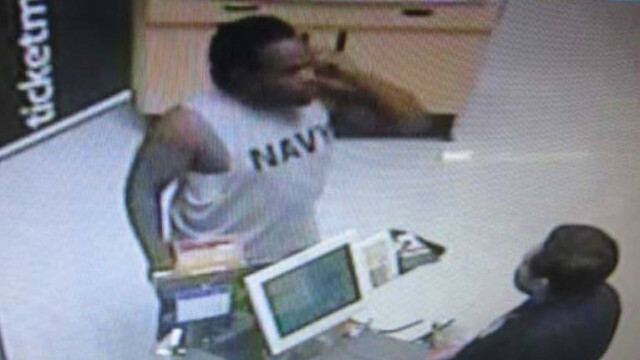 A man wanted in connection with the use of stolen bank cards. Photo credit: San Diego County Sheriff’s Department via Facebook. Authorities have asked the public to take a look at surveillance photos in hopes of identifying three people suspected of using a stolen debit card to make purchases and get cash back at businesses in San Diego and Lemon Grove. The incidents involving the stolen card occurred on Aug. 1, when a man used it to buy $105 in merchandise from the Wal-Mart at 3412 College Way and got $100 in cash back, according to a Sheriff’s Department and San Diego Crime Stoppers statement. Authorities said that man was black, heavyset and between 25 and 35 years old. He was wearing a gray t-shirt with “NAVY” printed on the front. Several hours later, another man and a woman used the stolen card to purchase $173 in goods from the same store and get another $100 in cash back, according to the statement. The pair then used the card to make a $154 purchase at the CVS drug store at 7100 Broadway in Lemon Grove. The woman was described as Hispanic, between 20 and 25 years old, and was wearing a black shirt and dark pants. The other male suspect was black with a light complexion, between 18 and 25 years old and had a large afro with a noticeable white spot on the right side. He was wearing a gray sweatshirt and gray sweat pants. Anyone with information on the identity of the suspects or their whereabouts was asked to call the sheriff’s department at (619) 660-7090, or to contact Crime Stoppers at (888) 580-8477 or via email through the website. 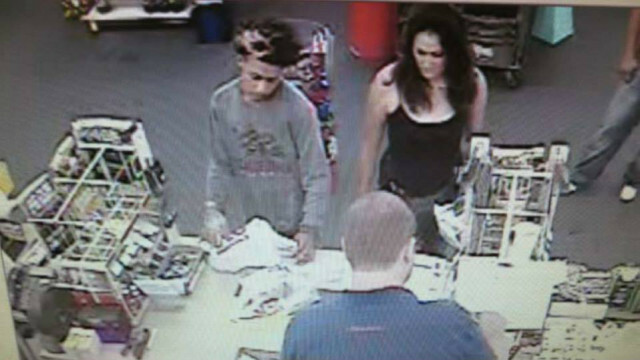 A man and woman wanted in connection with the use of stolen bank cards. Photo credit: San Diego County Sheriff’s Department via Facebook.